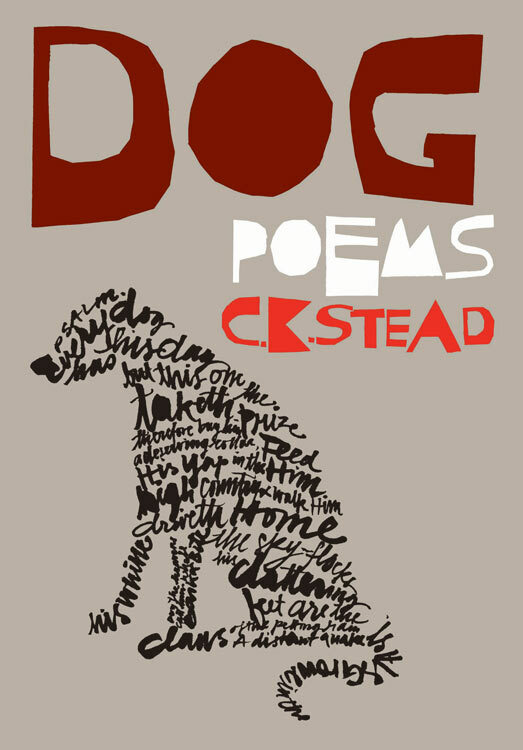 In Sarah Maxey's cover for C. K. Stead's 2002 poetry book Dog, type forms the figure of a dog. Reference: C. K. Stead, Dog. Auckland: Auckland University Press, 2002.